Since then, the market has evolved dramatically, largely due to the extreme growth of both smallsat developers and launch vehicle providers. Rideshare was born as an innovative solution to benefit launch vehicle providers and satellite developers. Rideshare maximizes launch capacities, increasing revenue for vehicle providers, while decreasing costs for satellite developers and providing a stable cadence of opportunities to access space. According to industry experts, by the end of 2018, the market for smallsat lunches is predicted to reach approximately $1.7 billion. That number is expected to grow to nearly $2 billion in 2019. While not all of the launches included in these forecasts will be rideshare launches (some satellite developers will seek dedicated launches, while others may be restricted from flying on rideshare missions), the belief is that approximately 40 percent of the predicted market value, roughly $780 million in 2019, will be derived from rideshare launches. The industry is showing no signs of slowing down. Industry experts are predicting that spacecraft ranging from 1 to 50 kg. in size seeking launch opportunities will grow roughly 15 percent year-over-year through 2023. These predictions are, in part, due to the decreased lifespan and increased production of satellites; however, it is also due to the increasing number of launch options available. The two elements are closely intertwined. The growth of smallsats has created demand for frequent and reliable launches, opening the door for rideshare, while also encouraging growth from launch vehicle providers. 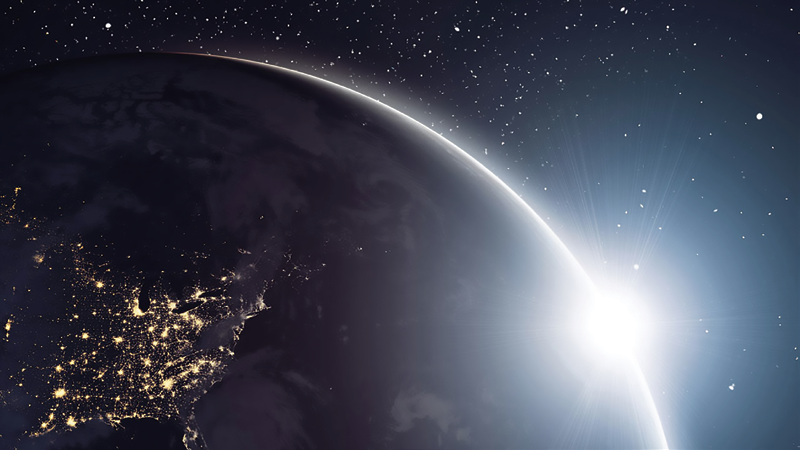 As demand for access to space continues to grow, rideshare options will also continue to grow and evolve. One large development is the emergence of dedicated rideshare missions, where a launch is fully dedicated to smallsats. This year, Spaceflight will be executing the company’s first-ever dedicated rideshare mission on a SpaceX Falcon 9 from Vandenberg Air Force Base. This historic mission, named SSO-A: SmallSat Express, will be the largest mission from a U.S.-based launch vehicle. Spaceflight manifested this entire mission with more than 60 payloads from 17 different countries from across more than 30 organizations. This will be an important and unique launch for Spaceflight. Increasing access to space has always been Spaceflight’s mission as an organization, and rideshare represents a viable solution to the many hurdles present in accessing space, including availability, cost, and other factors. Dedicated rideshare missions address those challenges in an expedited fashion, flying large amounts of spacecraft to orbit at one time; the mission is also solely dedicated to smallsats. First is that a large number of satellites on one launch is an incredibly complex undertaking. Complexity touches every part of rideshare missions, including integrating payloads, placing multiple satellites on orbit, and managing regulatory needs. 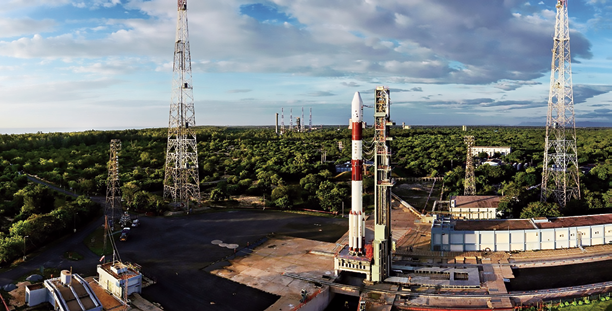 Now, with more than 60 payloads on a single mission, the complexities are amplified. It’s too early to completely rule out large vehicles for future dedicated rideshare missions; however, it is more likely that small- and medium-sized launch vehicles will become the vehicles of choice for future dedicated rideshare missions. Another important lesson that is seen across all rideshare missions is the need for flexibility. Building satellites, launching a rocket and accurately placing spacecraft on orbit are complex processes. A SpaceX Falcon rocket launch. Every aspect of accessing space presents different challenges and can lead to changes in a schedule. For instance, it’s not uncommon to see a launch be delayed several times — it’s possible that a rideshare payload needed to get on orbit by a certain time to begin profiting from its asset, creating a potentially detrimental situation. Alternatively, if a spacecraft is a secondary payload and is not ready by its launch date, then money is lost and the payload remains grounded. In order to minimize negative impacts, rideshare providers have an opportunity to increase flexibility by approaching rideshare, much in the same way that airline ticketing is managed. If capacity is purchased on a launch that is then delayed, imagine being able to move that payload to another mission, even a different launch vehicle provider. Flexibility will be crucial to managing the unpredictability of the space industry. 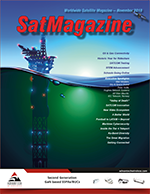 While in many ways the new space age is still in its infancy, the last several years have been highly informative and have led to incredible innovation.This industry is continuing to grow and evolve at a rapid pace and the coming years will be critical to the industry’s continued evolution and maturation. Curt Blake, president of Spaceflight, has more than 25 years of executive experience in high-growth technology industries. Under Curt’s leadership, Spaceflight has successfully negotiated the launch of 140 satellites on behalf of its customers and has secured contracts to deploy another 90+ satellites through the remainder of 2018. 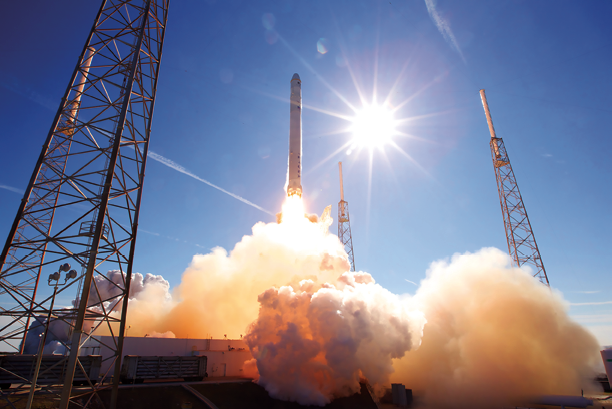 Responding to the smallsat industry’s growing demand for routine, reliable access to space, Curt oversaw the purchase of a SpaceX Falcon 9 in 2015 to expand Spaceflight’s launch services to include dedicated rideshare missions. SSO-A, Spaceflight’s first dedicated rideshare mission, is scheduled for November 2018 and will carry more than 60 payloads. Prior to moving into his role as president, Curt served as senior vice president and general counsel for Spaceflight, leading efforts to expand its global network of launch service providers while also building relationships with key commercial, civilian and defense customers. Prior to joining Spaceflight, he held a range of senior executive and general counsel roles at Microsoft, Starwave, Corbis and Aldus. BlackSky is a wholly owned subsidiary of Spaceflight Industries and is an intelligence platform that delivers timely, relevant and actionable information upon which informed decisions are made. 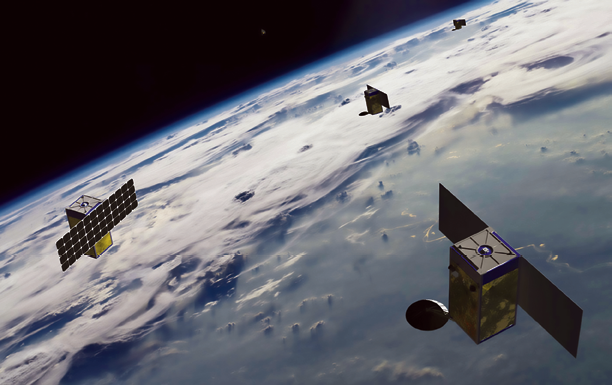 BlackSky’s planned constellation of 60 satellites — with many spacecraft on orbit by the end of 2019 — will provide frequent revisit rates of more than 95 percent of the Earth’s population. BlackSky smallsats will provide color imagery at a resolution of one meter (1 square meter = 1 image pixel). Monitoring economic activity is easier than ever — see ships in ports, earthquake damage, or herd migration. These spacecraft will fly over most major cities and economic zones between 40 and 70 times a day, giving clients unprecedented access to the most current imagery available. By fusing satellite imagery with real-time data, BlackSky will deliver fresher, more relevant insights. Whether tracking economic assets, monitoring illegal maritime activity, providing humanitarian relief, or securing troops and borders, BlackSky provides a holistic view of the situation. At BlackSky, the timeliness of satellite imagery is a cornerstone of the firm’s business proposition. Timeliness is driven directly into the design of every aspect of the system — Gemini was built, designed and implemented by the company’s in-house team that orchestrated faster and more efficient planning and tasking than could be possibly accomplished by a team of human operators. Timeliness starts in with BlackSky Platform products such as Spectra and Events. A customer can use Spectra anytime, on a tablet or a computer, to order a satellite image through an interactive a map of the Earth. Spectra then tells the user what satellites in the constellation will be passing over the location in the next few days and allows users to then place a tasking order. Spectra sends that order to Gemini, the internal name for the firm’s cloud-based constellation orchestration system. No phone, no fax machine, no human — welcome to 2018. Gemini learns from the platform where you want an image and then it finds the fastest way to capture that image and return that to the requester. 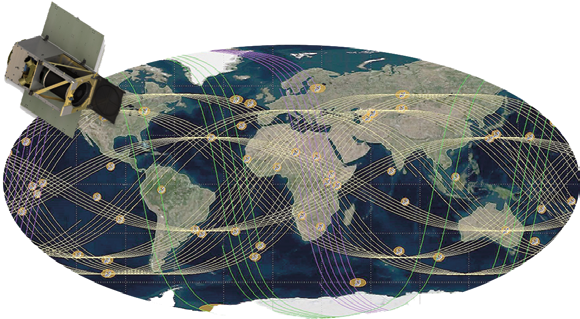 The system takes all outstanding image requests, the location of the company’s groundstations around the world, the orbits of all of the BlackSky satellites in the constellation and creates a plan. That plan includes which satellite will take that picture, which groundstation will task that satellite and which groundstation will downlink the image after it has been taken. After the plan is complete, the satellite communication plan is handed off to the appropriate groundstation for the upcoming contact pass with the satellite. If weather or other factors prevent a contact pass from happening, the platform will automatically replan the image for collection or downlink at the next available opportunity. No human involved in this process — the image tasking process and, if necessary, recovery is entirely automated. The groundstation software takes the communication plan and controls the RF equipment and antennas before, during, and after the contact pass. During the contact pass, the groundstation software talks to the satellite sending up new mission scripts for future image collection, downlinking images that were taken, and relaying health telemetry back to the cloud infrastructure. The system handles any minor communication anomalies and escalates to satellite operators anything it can’t handle itself. Throughout the contact pass, operators in the Missions Operations Center (MOC) can watch the automated contact pass and view satellite and groundstation telemetry in real-time — or see a report the next day on the contact passes that happened overnight while they were asleep. As images are downlinked from the spacecraft ,they are sent back to the firm’s cloud infrastructure and into the image processing pipeline. Here the images go through several steps in the custom pipeline to prepare the final imaging product, including elements such as geolocation and orthorectification. BlackSky’s modular image processing pipeline was designed to scale out as the constellation grows to ensure timely processing of images. Once image processing is complete, the images are sent back to Spectra which notifies the customer that their tasked image is available. The tasking-to-delivery round-trip time varies based on many variables (satellite orbits, daylight, image collection location, groundstation locations, etc) but in many cases it is measured in hours, not days. BlackSky was designed from the ground-up around automation with an explicit objective of getting humans out of the loop for day-to-day operations because humans just slow things down, and timeliness is money.